Recently I went to the Bridge-Way Diner and restaurant in Old Bridge, NJ. 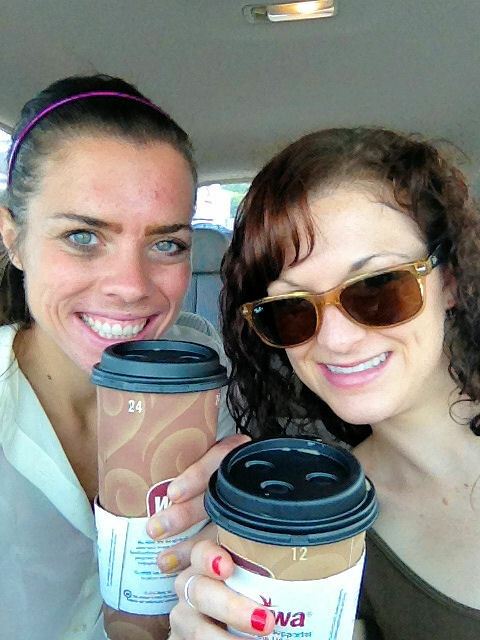 I was in the area and wanted to miss the traffic, so I begged, Jess, to meet up with me. After a confusing few turns, I made it into the parking lot. The atmosphere of the Bridge-Way diner is typical of many NJ diners. The outside is a typical building with a giant metallic sign. Something comical to me is there is no “Bridge-Way” sign on the front of the building. I feel like most restaurants have that. Anyway, the inside has a full bar and plenty of booths and tables. What I do appreciate is you walk next to the dessert case, and there is a full salad bar. Not many diners have either! 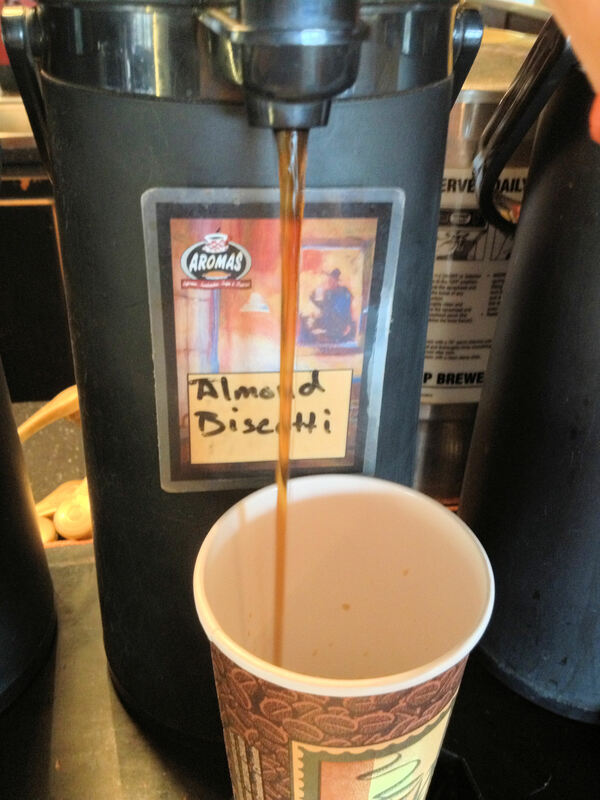 The coffee was brewed hot and fresh, and the waitress refilled it often. She also included an overflowing amount of whipped cream, which in my book is A++. It took both us a long time to order because we had no idea what we wanted. There were so many options. I knew I wanted the salad bar so I decided to order off the specials menu. I haven’t ordered a lot of chicken specials at diners, so I opted for the greek chicken that came with 3 chicken breasts topped with olives, feta, and spinach. It also came with the salad bar, soup, potatoes, a side, and dessert. Oh. My. Word. This special was very large but also very delicious. . Great date and avoiding traffic home with @jessrunshappy at NJ diner 218. For my soup, I chose the seafood bisque. It was good and had a slight kick to it. It was one of the better seafood bisques I’ve had, and there was plenty of crab. The salad bar was my favorite because they had a well-stocked salad bar with dressed salad, three bean salad, beets, grape leaves, and even bread. As far as restaurants go, it’s one of the better salad bars I’ve been too. My chicken was delicious, and I’ve never had a Greek chicken special, so I don’t have anything to compare it too. The chicken was cooked well, and there was plenty of olives, feta, and spinach. I chose the mixed vegetables and homefries for my sides which were both excellent. By that point, I was pretty much full. The waitress was kind and refilled our beverages often. I always appreciate waitresses and waiters that show their personality and she definitely did. Since my meal came with dessert and I’m a cake fiend I decided to get the Bridge-Way cake. It was a chocolate cake with cream cheese frosting. It was definitely good and not too dry. Jess got the seven layer cake which was extremely good. I think next time I go, I’ll get the 7 layer cake. Each layer was filled with mouse frosting. As a frosting fiend, that’s my type of cake. For my entire meal and coffee, it was $17. For the average person that would be 2-3 meals. Overall Summary/Would I Come Back? I really liked the Bridge-Way Diner, and it’s definitely one of my more favorite diners in the area. I would come back if I’m in town! You can see all 218 Diner Reviews Here. Do you usually order off the specials? Recently I went to the Sage Diner with my parents on the Eastern Shore of Virginia. This Sage Diner is not to be confused with the Sage Diner in Mount Laurel. Coincidentally, my parents went too a few years ago. I drive down the Eastern Shore (from New Jersey to my hometown of Virginia Beach) regularly, but I haven’t been to a lot if diners on the Eastern Shore. The sage diner is located right on Route 13 and has a huge sign located outside, so it’s hard to miss. There are several locations. The building reminds me of a local family is owned business It’s a casual brick building with a sign that says Sage Diner. The inside is a large square room with several booths and tables as well as a bar. There is nothing unique about it but does have a cute small town feel to it. The waitress brewed a fresh pot and it was brewed hot. There was nothing unique about the coffee and there were a few grounds inside. Other then that, it wasn’t too bad. Our waitress was very friendly but she got several parts of our order wrong including my parents soup as well as my pudding. She blamed it comically on “being senile”. (Her words not mine). She was friendly and treated us as if she had known us for years. The Sage diner has a huge dinner menu. They have the basic breakfast staples such as eggs and pancakes but nothing unusual. I decided to try the special, “The chicken souvlaki.” To be honest I had no idea what would come out! I assumed there would be chicken but after that…I had no idea. The chicken souvlaki had grilled chicken with roasted vegetables and a very thick and heavy oil. To be honest, there was so much oil it turned into a soup at the bottom of my plate. The meal itself was good though. I enjoyed the roasted vegetables and chicken. It oddly enough reminded me of a grilled fajita on a pita (diner rhyming?). It also came with a side salad which was a perfect compliment. The menu stated the special came pudding, however, the waitress forgot and by the time she remembered it was time to go. In summary, I enjoyed my food and it was typical of a diner. For my special and coffee, the cost was $13. It was a lot of food for not a lot of money so I can’t complain. I enjoyed the Sage Diner and it’s a great stop on the Eastern Shore. If you are heading through the Eastern Shore, I would recommend stopping. Have you ordered anything off a menu having no idea what to expect? Have you ever traveled down route 13 on the Eastern Shore? A few weeks ago, Caitlin and I met at the Time to Eat Diner. The Time to Eat Diner has been on my to-do list for a while. I’ve heard it’s good plus who can argue with that name? Out of all of the names, “Time to Eat” is in the top. The Time to Eat Diner is located in Bridgewater, NJ after a semi-confusing roundabout. It’s modern, clean and has been plenty of parking. The inside is spacious with plenty of seating. You walk in next to a large bakery case. It’s clean as well which surprisingly has been an issue lately. We were lucky to sit in a booth towards the front. The coffee was great and had plenty of whipped cream. The only thing missing was more coffee. The waitress was friendly, and the food was brought out quickly. It might have been the fastest I’ve ever received food. It was exceptionally hot that day, and I was craving something cold. I had only run half an hour but I sweat so much, and I didn’t want any hot food. I ordered a Mediterranean salad. Originally I wanted salmon, but they informed me they couldn’t do that, and so I stuck with the chicken. When the salad came out, I was confused about whether it was chicken or salmon. Both Caitlin and I stared at the chicken trying to figure it out: was it chicken? Was it fish? It was the fishiest looking chicken I’ve ever seen. That being said the salad was filling, and there was plenty of chicken. When I ate it, it tasted normal, and I have no complaints. 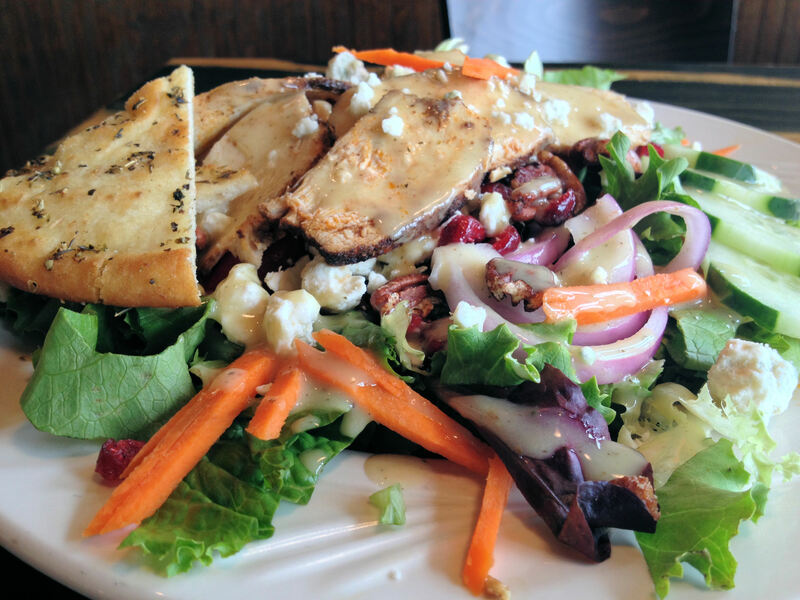 I wish there were more mixed greens, but the salad was good. For my salad and coffee, the cost was $15. It was more expensive for the amount of food, but it was a good meal. I liked the Time to Eat Diner. The meal was good, and there were plenty options. It wasn’t the best diner, but it wasn’t the worst either. It as odd they couldn’t add salmon, but that’s how it goes. Question for you: What’s the restaurant with the coolest name you’ve been too? I like my titles to be clear and concise and tell you exactly what the post is about…that isn’t so hard is it? I could have easily named this post…cold coffee rage...I guess that would be mysterious. Shannon and I seem to have the most opposite schedules in the world. Everytime I come back to VA she is just leaving…everytime she is leaving…I am just coming back. Our schedules normally correlate for about 2-3 days so it’s always exciting when we get to hang out. A couple of weeks ago we decided to hit a café called Aromas located in Newport News, VA. (Also one in Williamsburg). That being said, it was about a 30 minute drive because google maps and siri likes to take us on the scenic route. Not a big deal though because we always have plenty to catch up on. So arriving at Aroma’s we noticed the restaurant was very centered around the coffee. The café was cute and had a lot of pinterest signs with humorous coffee quotes. Not only do I almost always try restaurant coffee to begin with, but if that is one of their main claims to fame then I have to try that as well. Being a plain jane, I like to get normal coffee. I don’t get their fancy mocha X,Y and Z with a hint of this and a swirl of that. So after debating what to order I got their specialty house salad with added chicken and a cup (20 ounces of coffee) equating to about 15 dollars. A little expensive for me but that is fine. So first the salad. It was presented extremely well. 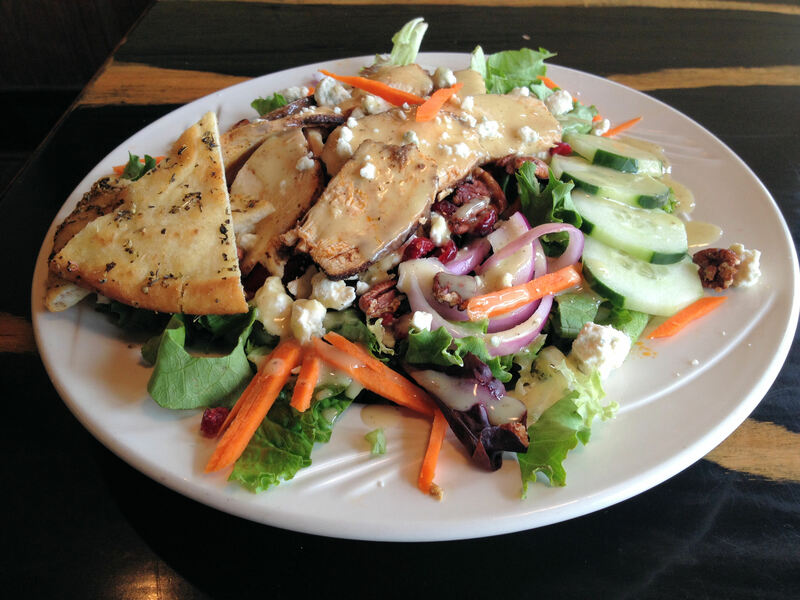 It had all my favorite things: pita, feta cheese and some actual vegetables for good measure. However, I payed an extra 3 dollars for chicken and there wasn’t much chicken added…The salad itself was good though. If I had read the menu better I would have noticed that the dressing was some sort of honey mustard flavored. I don’t exactly care for mustard but it wasn’t bad and I obviously still ate it. My final verdict: The salad was good but could have used more chicken and been bigger overall for 15 dollars. I had a second lunch a few hours later which was fine. Moving on to the coffee. I don’t normally rail into coffee because I’m not too particular as long as it’s warm and I can add cream. However, this was a coffee shop and when I went to go fill up my cup from one of the five pots, four were empty and the other was cold. So that’s that. I didn’t finish my coffee and that is saying something for me. My final verdict: Would I go back? It’s about a 30 minute drive from my house and honestly if I hadn’t had such great company I might have written a harsher review. I wouldn’t drive the 30 minutes again back and if I was in the area and hungry at the time I would honestly probably try somewhere new. It’s not bad by any means, but it isn’t a favorite in the LOLZ book. *I don’t get payed, sponsored or compensated for my review services and all thoughts and rambles are my own. How do you judge a restaurant? Food portion or taste? Atmosphere? Your Company? My restaurant reviews (well that is obvious). I thought I had posted this recipe a while ago…but alas I did not. 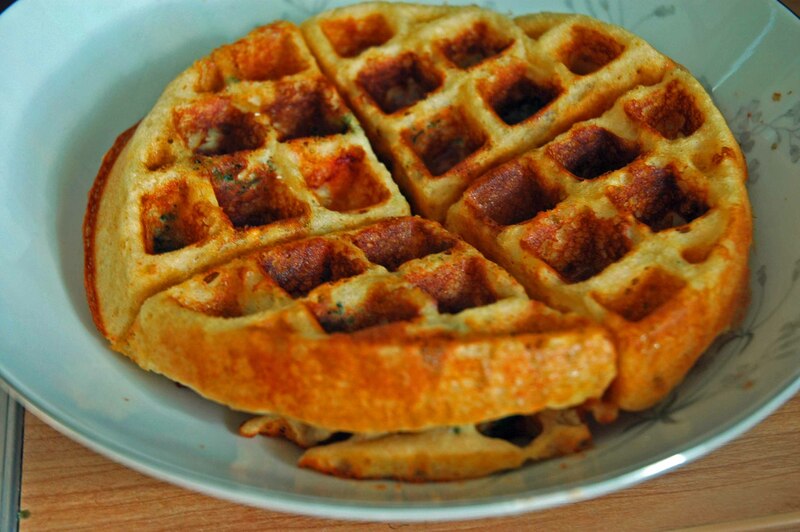 That’s fine though, because who doesn’t love yet another savory waffle recipe? I like savory waffles a lot and have found you can never really have too many savory recipes. 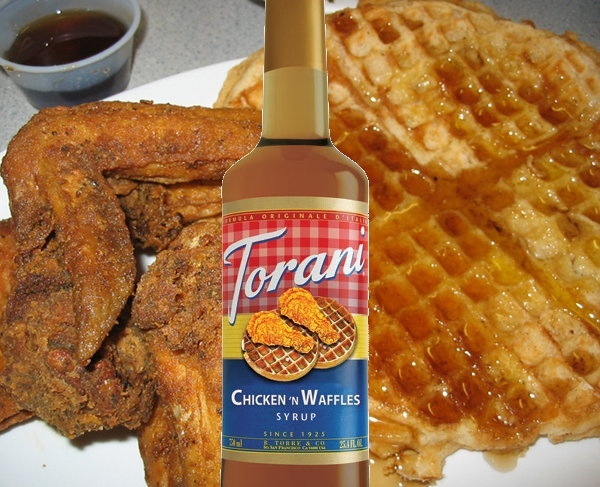 I personally like the combination of chicken and waffles…but chicken in your waffle? That…something about that…you probably don’t know what to say. Plus they have the new Lay’s chicken and waffle chips…so why not pair them and make an actual chicken waffle. Spices I used: garlic (I know…that’s it). Add dry ingredients to wet ingredients, mix, then add the cheese and chicken. If you add them before mixing then you’ll probably have clumps in the batter. Have you ever had chicken and waffles? It’s pretty big in the south but I don’t see it as much up north.